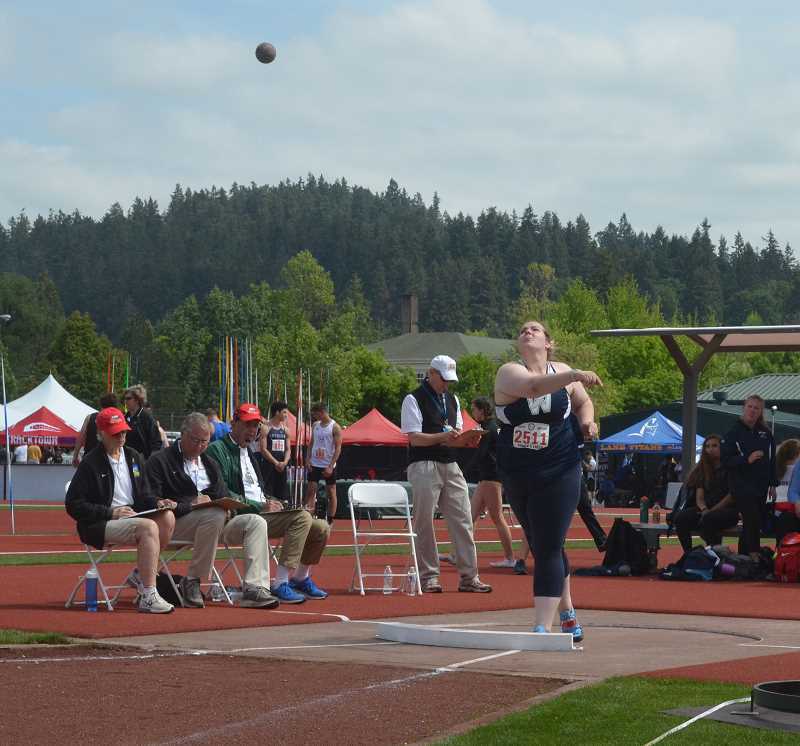 On May 18 and 19 at Hayward Field in Eugene, Wilsonville High School has a state champion, and it came in the shot put pit. Senior Maggie Woginrich took the top spot with a throw of 40 feet four inches. Woginrich beat out Summit senior Haley Smith's second place throw of 39 feet 6.5 inches. 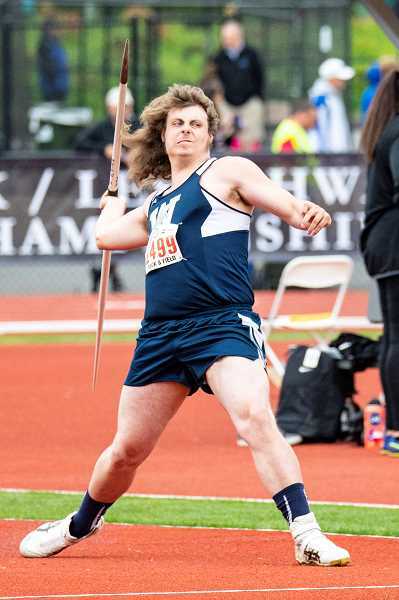 Wilsonville's top shot putter actually threw farther to take the Northwest Oregon Conference championship, but it didn't matter. At the end of the day, Woginrich became a state champion to end her high school career. Fellow senior Sierra Bishop took ninth place in the shot put with a throw of 35 feet 1.75 inches. Bishop ends her season with Wildcats and will head down to Oregon State University to be on the school's rowing team. 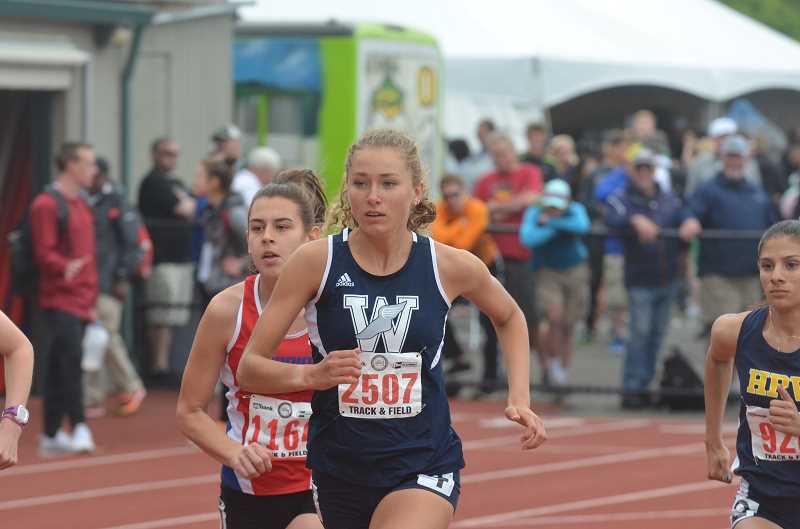 Wilsonville junior Jillian Greene took eighth place in the 400-meter race with a season best 1:01.30. Greene was only two seconds off the first place mark, and will be a strong competitor coming into next year. Wilsonville sophomore Samantha Prusse twice made the stand at the state meet for her efforts in the 800-meter race. After two laps of the track at Hayward Field, Prusse crossed the finish line in fourth place with a time of 2:22.59. The finish was a personal record for Wilsonville's top female distance runner. In the 1,500-meter race, Prusse came in fifth place with another personal best, this time finishing in 4 minutes 51.12 seconds. The two event NWOC champion is only just a sophomore, and will be a fixture for the team in the upcoming seasons. Senior Krista Herlin took tenth place in the 3,000-meter race. While she did not make the podium, Herlin did set a personal best record in her last race for the team. Herlin finished with a time of 10 minutes 50.11 seconds, besting her previous record by three seconds. Wilsonville's top hurdler Emily Scanlan had a tough time at the state meet. The junior finished in the 11th spot of the prelims of the 100-meter hurdles, precluding her from advancing to the finals. Scanlan also finished in last place of the 300-meter hurdles. While the result was not great, the time was only a second off of her personal best. Scanlan was also unable to post a height in the high jump. In the long jump, senior Marisa Meyer took fourth place to round out her high school career. Meyer landed a jump of 16 feet 5.25 inches, a full foot shorter than her personal best. Overall the girl's team finished tenth with 25 points. 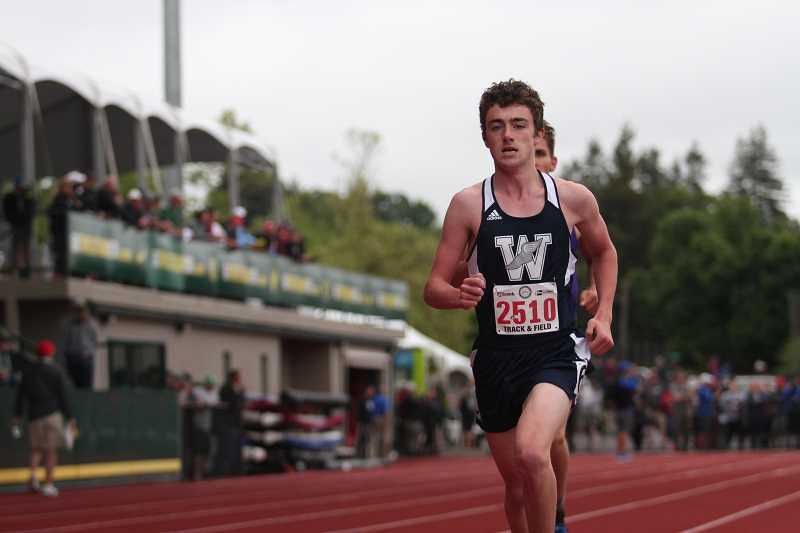 On the boy's team, Wilsonville senior Nicholas Whitaker took sixth place in the 3,000 meter race with a time of 8 minutes 47.79 seconds, 23 seconds off the top spot. The mark was a personal record for Whitaker, who took was the Northwest Oregon Conference champion in the event. Whitaker leaves the Wilsonville track and field team as one of its top runners. Wilsonville freshman Payton Dart suffered an injury coming over the second hurdle in his heat at state. It was a disappointing result for Dart, who had been among the top hurdlers in the regular season, and had claimed first in the district meet with a personal best time of 41.95 seconds. The Wildcats 4x400-meter relay team took sixth place overall, with runners Jacob Schain, Micah Ott, Dane Collins, and Reece Green representing the school. Together, the four of them put together the fastest team time of the season, clocking in at 3:27.78. Schain and Green will both graduate at the end of this year, leaving places to be filled in next year's team. Wilsonville junior Mike Church did not set a PR, but he did make the pedestal at the state meet for his mark in the javelin. Church threw the javelin 48.61 meters, or roughly 159 feet, taking sixth place. Only two of the five competitors who finished ahead of Church will be returning next year, including first place finisher Austin Strawn, a freshman from Eagle Point. Wilsonville's boys' team finished in 21st place with nine points.